At Homestake Lodge, east of Butte, skiers kick, glide and skate over nearly 40 kilometers of groomed trails. 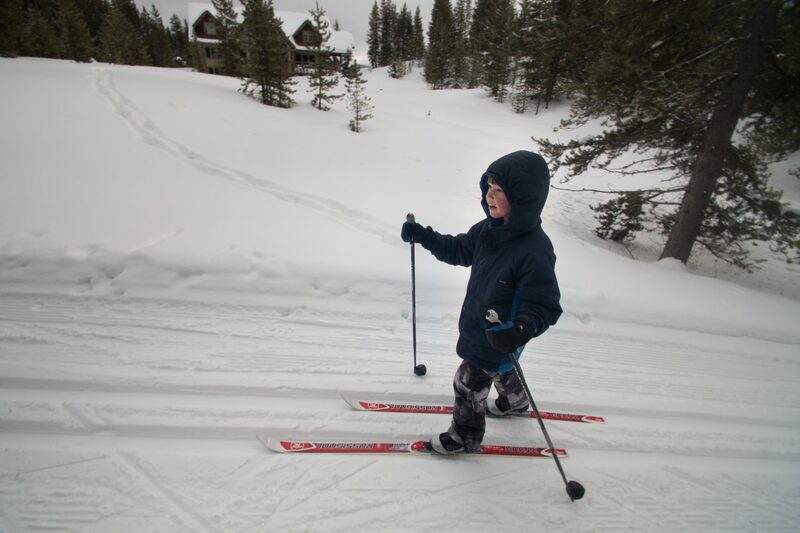 School groups don skis for the first time, womens groups hone their skills on skate skis and kids groups learn to ski recreationally and competitively. Families and individuals breeze through aspen trees and around beaver ponds and cruise up and down the conifer-lined trails beneath granite cliffs. Seven years ago, this Nordic center was nothing but trees, boulders and a few dirt roads. Now families, exercise enthusiasts and hard-core Nordic skiers get their cross-country fix, meet up with friends and enjoy a bowl of homemade soup in front of the fire. We had a vision of a place with great trails and a communal aspect, said Chris Axelson, who owns Homestake Lodge with his wife Mandy. Theyve made that dream come true. With an eye on minimizing their carbon footprint through the use of passive solar heating, thermal masses, photovoltaic panels and other eco-groovy techniques, Homestake Lodge is a perfect place for a day  or a weekend  out of town. 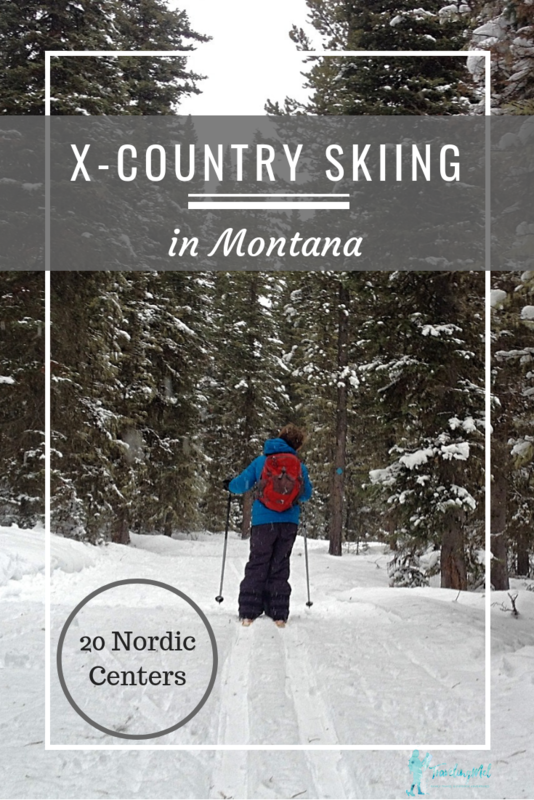 Montana is loaded with Nordic skiing opportunities. From full-fledged lodges, to parking lots that lead to miles of trails  where there is reliable snow in Montana, theres a cross-country ski trail system. There are a lot of places to go Nordic skiing in Montana. Most of them are in the western part of the state, which makes sense since that is where the mountains are and the snow sticks around. This map of cross country ski areas in Montana is a good starting point, then scroll down for information on the individual areas (alphabetized). 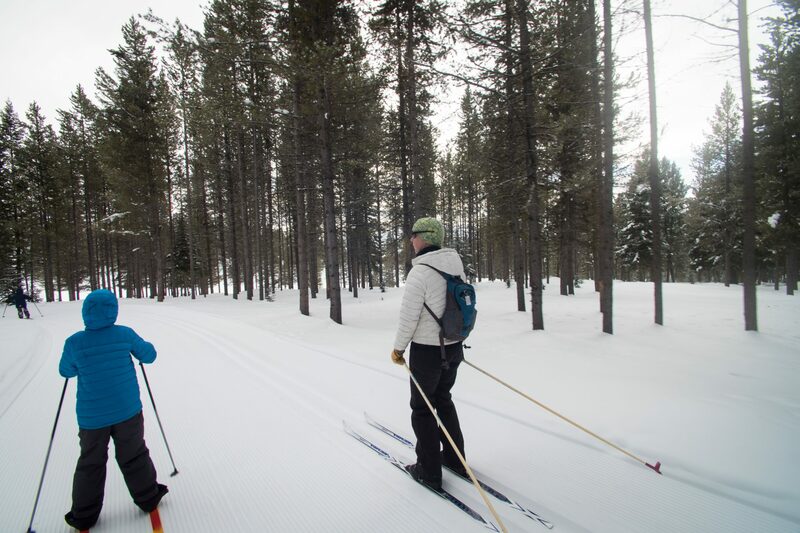 The North Shore Nordic Club maintains trails for skiers and snowshoers in the Flathead Valley. 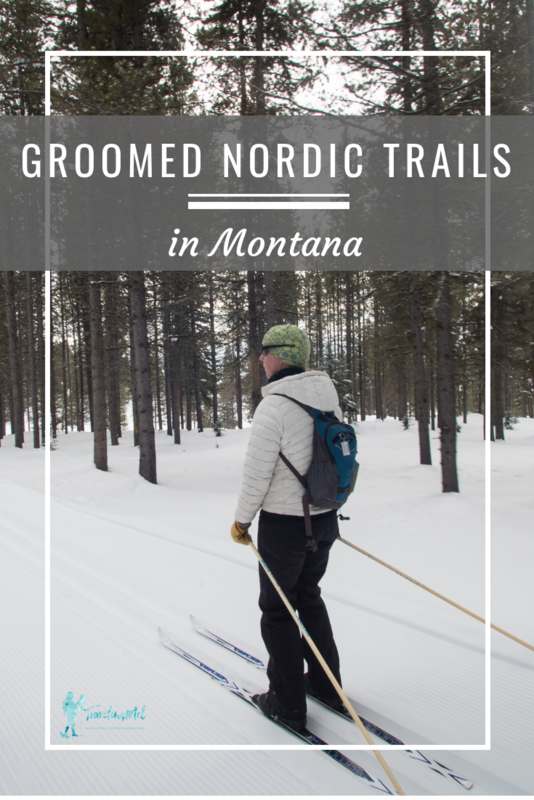 They groom 6.5 kilometers at Bigfork Community Nordic Center and 43 kilometers at Blacktail Nordic Trails. Throughout the state, the U.S. Forest Service maintains a network of hiking/biking/horseback riding trails that double as ski trails. Check with the local district for the best trails to ski. Winter ski and snowshoe trails throughout Glacier offer access to spectacular scenery and uncrowded recreational opportunities. From Apgar, Lake McDonald and North Fork on the west side, to Saint Mary, Marias Pass and Two Medicine on the east side, both groomed and ungroomed trails crisscross the park. There are so many things to do in Glacier National Park, whether you visit in summer or winter. The 20 kilometers of Nordic trails wind through old growth forests, roll over ridge tops and meander through meadows eight miles from Whitefish. Trails are groomed daily. The lodge offers three suites for overnight guests. Yellowstone is at its best in winter. A blanket of snow, steamy geysers and hot springs, wildlife hunkered in the valleys, and the lack of summer crowds make skiing in Wonderland delightful. Find groomed or blazed trails at Mammoth, Tower, Old Faithful, Northeast, Canyon, West Yellowstone, and along Highway 191 in Gallatin Canyon. Try the Tower Falls Trail (in photo above) or Snow Pass to Bunsen Peak trails. Be sure to check out my Yellowstone site for all the fun things to do in Yellowstone National Park. A version of this story originally appeared in The Great Falls Tribune, February 13, 2014.